DIY, change the tail light assembly on your Ford Ranger, the model made between the years 1993 and 2010. 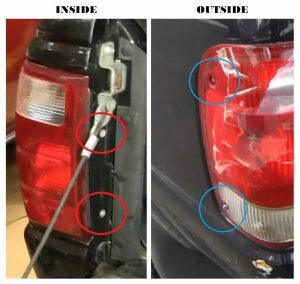 This is a very simple repair that you can make in less than 10 minutes, using only a Phillips screwdriver and a new tail light assembly, required for the replacement. You can start the repair by opening the back door of your car. 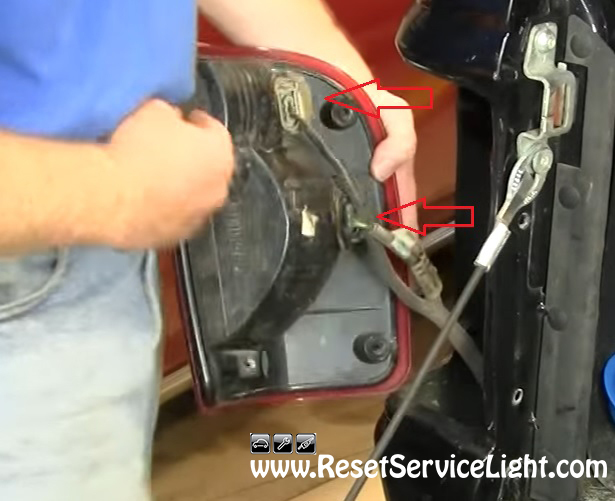 There you should locate the four Phillips screws that hold the tail light you wish to replace. They should look like the ones shown in the image below. Two of them are located to the interior of the car, below the tailgate cable and the other two on the outside, at the extremity of the tail light housing. After you remove them, detach the assembly by simply pulling it towards you. Behind it, you will have to disconnect the two harnesses powering the light bulbs, as you can see in the picture below. To service the bulbs you can simply turn their sockets counterclockwise. If this is not necessary, you can just install the new tail light. Reconnect the harnesses and secure the new assembly with the four screws. Be careful, don’t over tighten them, because you might damage or brake the plastics. Just tighten them firmly and you are ready to go. These are the steps you need to follow, if you have to change by yourself the tail light assembly on Ford Ranger, produced between the years 1993 and 2010.